Shake Shack is a modern day “roadside” burger stand known for its 100% all-natural Angus beef burgers and flat-top Vienna beef dogs (no added hormones or antibiotics – ever), 100% all-natural cage-free chicken (no added hormones or antibiotics – ever), spun-fresh frozen custard, crinkle cut fries and more. With its fresh, simple, high-quality food at a great value, Shake Shack is a fun and lively community gathering place with widespread appeal. 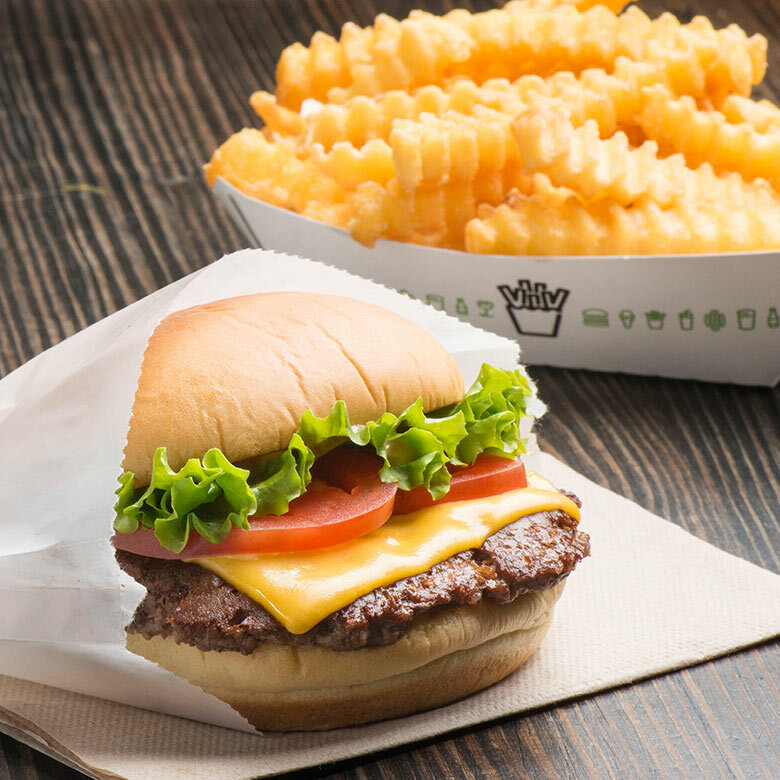 Shake Shack’s mission is to Stand For Something Good®, from its premium carefully sourced ingredients and caring hiring practices to its inspiring designs and deep community investment. Since the original Shack opened in 2004 in NYC’s Madison Square Park, the company has expanded to more than 90 locations in 18 U.S. States and the District of Columbia, and more than 50 international locations including London, Istanbul, Dubai, Tokyo, Moscow, Seoul and more.